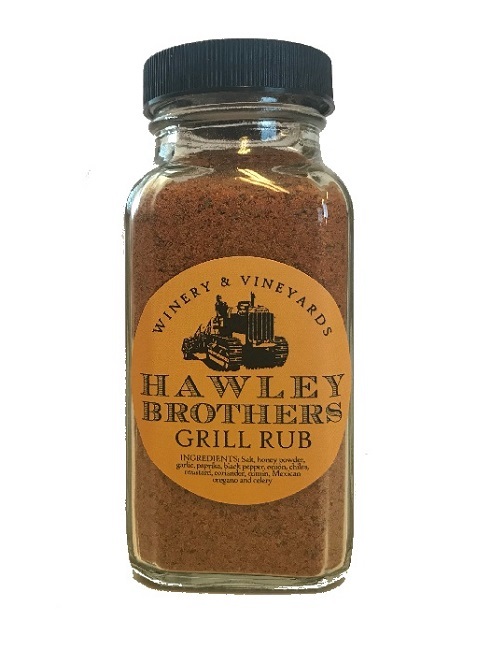 Get ready for some back yard grilling, Hawley style! 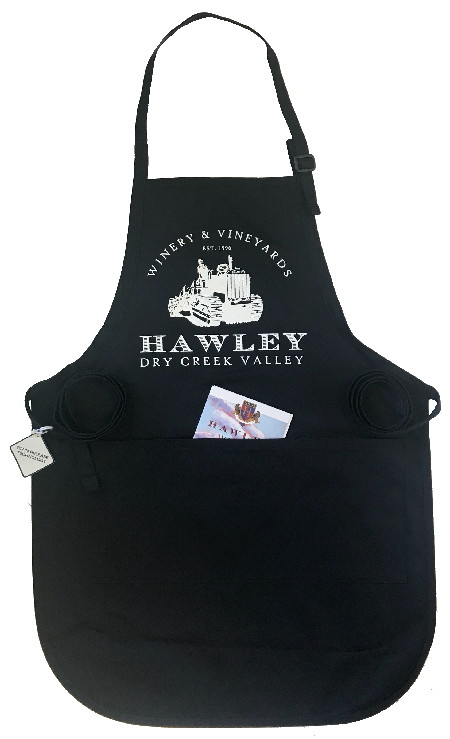 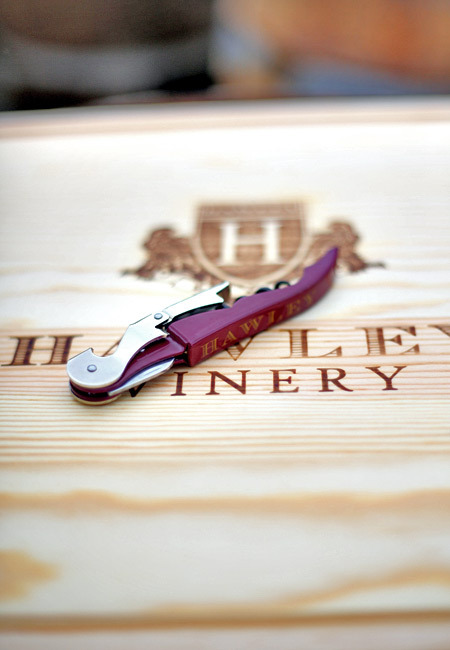 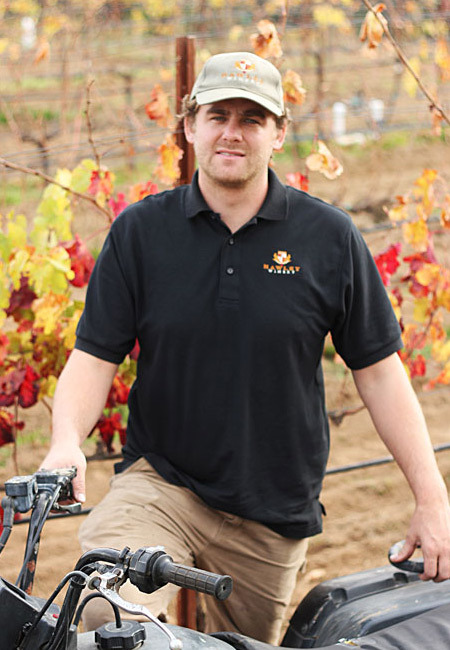 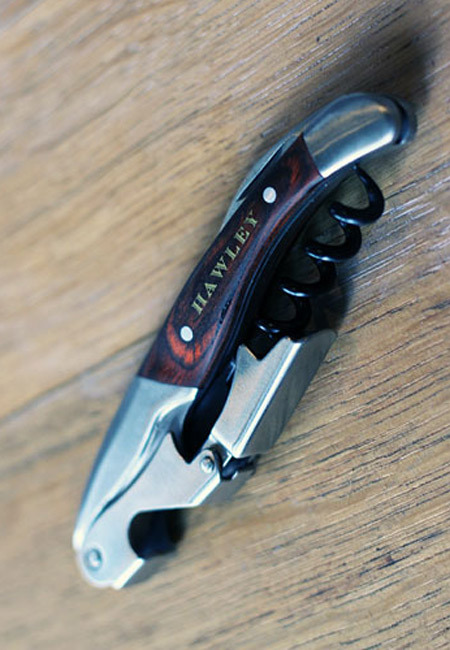 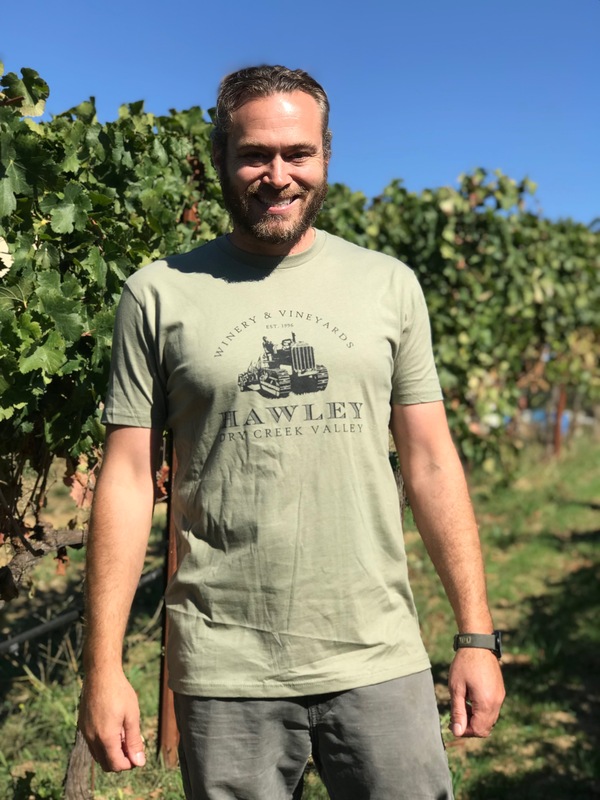 Gift Set Includes: Black Hawley Tractor Logo Apron, Hawley Logo Double-Hinged Wooden Wine Opener, Hawley Brother's Grill Rub 6 oz. 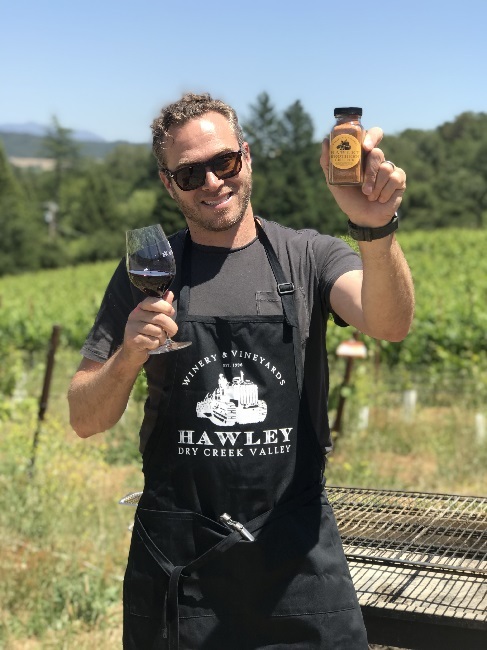 jar and 2 delicious recipes with wine pairings!